If you’re looking to start your own business or you’re just looking for additional income, T-shirt printing probably come to mind. 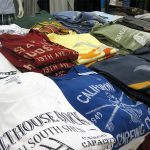 T-shirt printing can be done using silk screen printing or heat transfer printing. Today, we want to share equipment you need to have if you decide to choose heat transfer printing. 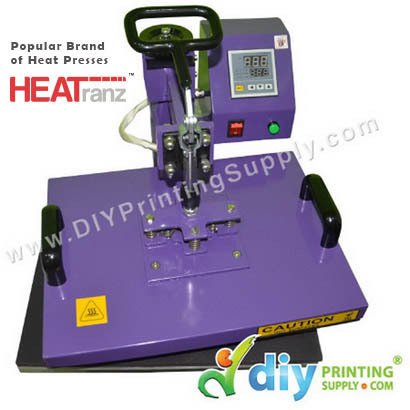 A lot of people start with heat transfer printing because it is the easier option for T-shirt printing. The process is very simple. 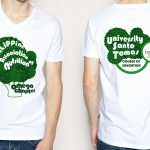 You just design your T-shirt on computer, print it out on a sublimation paper / transfer paper that’s specially made for heat transfer printing. 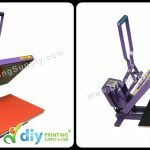 You will then transfer the picture on paper onto T-shirt using a heat press machine. 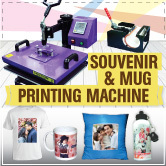 So you basically need a heat press machine, sublimation or transfer papers and special inks. 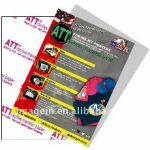 You do have several printing options like vinyl transfers, sublimation printing, transfer printing that is more suitable for less quantity and personalised printing. 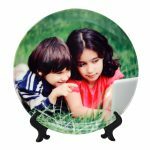 Once you have the equipment and you know how to operate it, now you need to learn how to design with photo editor software such as Adobe Photoshop. For example, Valentine theme you might need to find design such as heart shape. Don’t worry about ideas, nowadays, you can find almost everything with a single click on Google Images.